BABY BLANKET is a book in the form of a comfort object. 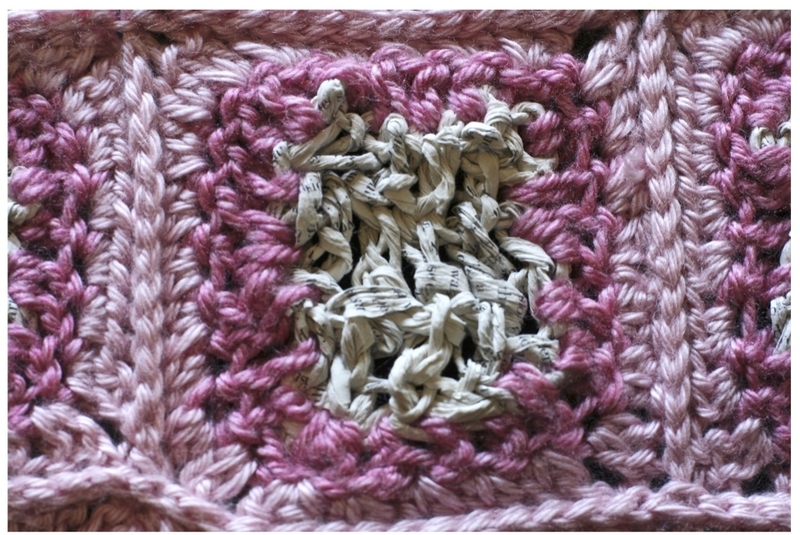 It is made of twenty crocheted squares, known as “granny squares.” The outer parts of the squares are crocheted in pink yarn, and the center of each square is crocheted in the pages of a low-fat cookbook, which I worked through my hands until it became soft. The blanket is large enough to cover a newborn baby.